It may sound cliche, but awareness is crucial to change. I learned this first hand while campaigning to pass the ban on shark fin trade in California. Most people I spoke with assumed something so terrible was already illegal, and when they found out it was happening in their own back yards they were more than happy to help. Isn't it shocking what takes place for years under our noses until someone points it out? Similarly, I don't believe most people understand some of the threats and challenges "protected" species face. Thanks to irresponsible journalism and the growing trend for people to believe what their television tells them without ever double checking for facts, I've decided to fight fire with fire. Along with other shark advocates collaborating with me, I'm doing the research for you then bringing the information to life via film. There's a misconception, which I perviously shared, that this species is in good standing because it is protected internationally. The reality is that the animal's future is still questionable and sometimes it's hard to tell who the good guys are and who the bad guys are. 'The Price of Existence' asks the question "Why?" a lot. Why is a protected species not actively being protected by the very laws that are support to save it from poachers and fishermen? How can independently wealthy organizations obtain permits that would never be allowed in any other circumstance? Why do researchers contradict their own publications when given the opportunity to advance their careers? Why do politicians ignore expert advice that shark nets and targeted culls do not solve the issue of shark attacks? Why does the first country to ever list this animal as a protected species support an organization that kills up to 60 white sharks a year while failing to prosecute illegal fishing of the same animal? Then there are inward focusing questions? Why do we choose to kill an animal that is proven to rarely attack humans instead of choosing to leave sections of the ocean as the shark's domain? Why is the best chance this animal has for protection depend upon the fact that some people have found a way to make money off this animal alive rather than dead? And how to we compete against the motivation of a poacher who can bring in upwards of $50,000 for a single set of white shark jaws? If you haven't recognized it yet, there's a recurring theme here. Money. Decision making, good or bad, all too often stems from financial origins. Thus, this three part film is titled "The Price of Existence". White sharks were hunted to a dangerous level by mankind until countries began declaring them a protected species, starting with South Africa in 1991. I acknowledge the positive action such countries have taken, and some policy is better then no policy. But the reality is that effective enforcement is lacking. Being protected on paper is not the same as being protected in reality; actual enforcement and the funding needing for this enforcement are lacking, leaving the fate of the white shark in the hands of those who financially benefit from this animal, whether this means the animal’s best interest is in mind or not. 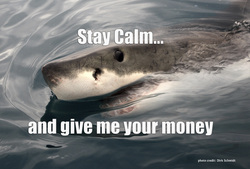 White Shark Video is a nonprofit corporation in California surviving on publicly donated funds. Stories need to be told, people need to be educated. You can help with a tax deductible donation today! So What Exactly are We Fighting? Why Help This Project? There are those who blatantly break the law because the payload for landing one shark negates the consequence. There are self-serving individuals more interested in their careers than the well being of the shark. And there are those who spread misinformation to further their cause or ensure financial compensation. But the biggest problem is you. Yep. You, me, us. Because complacency and ignorance are the tools by which "the wrong thing" is able to continue happening. it's been shown time and time again that change starts with a ripple, then it becomes a wave. Help me make that wave by creating a film that will tell the sides of the story most people otherwise won't hear. Part 1. 'Great White Lies'. Exploring the heated and highly competitive world of white shark research. Interviews with shark researchers, scientists, and conservation organizations explain the methods used in the research field and why the industry is strongly divided. Also learn why the presentation of data from experts doesn't necessarily result in the needed policy changes the data recommends. This project really began in 2004 when WSV Founder Skyler Thomas saw his first white shark in the wild. While attempting to hold down a full time job Skyler made a few short films over the years in an attempt to share the untold story story of the white shark. Progress was too slow and in 2013 Skyler left the world of tech to start his own nonprofit corporation and pursue shark education and filmmaking full time. While this is good news it does come with the burden of losing the source of income for these projects since Skyler self-funded all previous work through his day job. Thus, it is it is time to ask for help. Taking a summer month off during graduate school in 2004, Skyler volunteered on an ecotourism boat in South Africa in an effort to finally become involved with white sharks first hand. It’s been a love affair ever since, with Skyler writing, filming, narrating, and editing several short, independent films in an effort to bring awareness to anyone who will stop and listen. Since that time Skyler has made several short films, been an active advocate in California to protect sharks, and returned to South Africa, Guadalupe Island, and the Farallon Islands to film the white shark in its natural habitat. 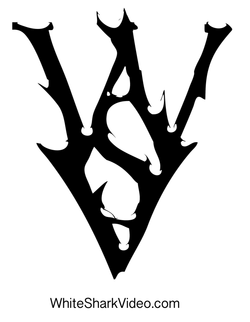 All projects have been independent and self-funded thus far. 1. Organizing a massive white shark educational gallery in the African Hall at the California Academy of Sciences during the push to pass AB 376, the ban on shark fin trade in California. 2. 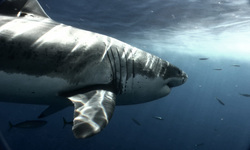 Award for Best Concept film from the LA Movie Awards for “White Shark Behavior”.